Whether you’re camping or spending a day at the beach, bring along the Road Shower 2. 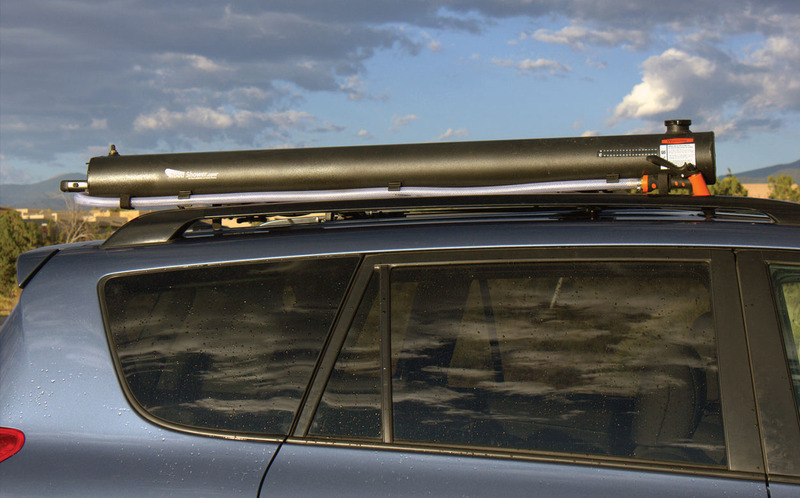 The product consists of a tube that’s 57 inches long that attaches to your vehicle’s roof rack. The five gallons of water you add to the tube from a standard garden hose can be pressurized (up to 18 pounds per square inch) by attaching a bicycle pump or tire inflator to the relief valve. The attached 55-inch hose and nozzle releases the contents when needed. An LCD display shows the water’s temperature. The Road Shower 2 sells for $300, including all necessary hardware at www.roadshower.com.